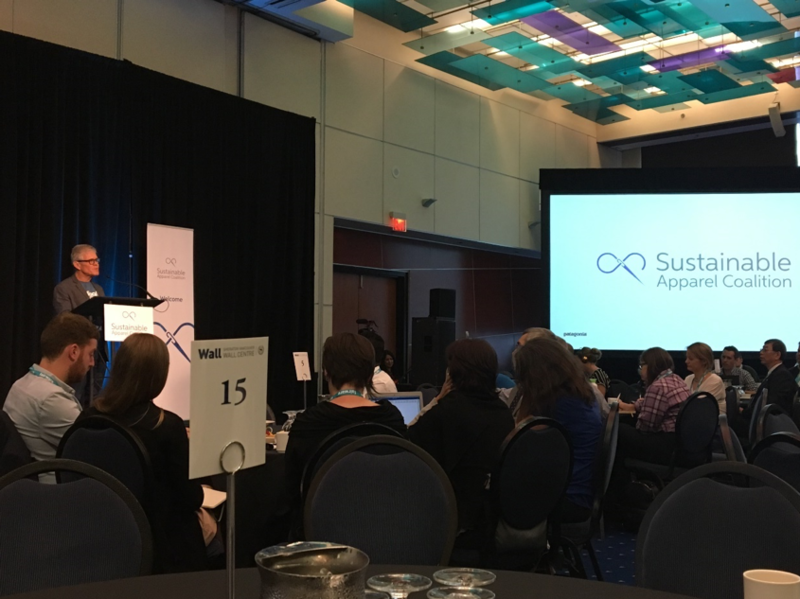 This is part of a series of reporting from the annual meeting of the Sustainable Apparel Coalition and Planet Textiles in Vancouver in May 2018. The oceans are filling up with harmful micro-plastics. There are too many sustainability tools and standards to know which to use. Customers of the product won’t notice the efforts. Scientists find thousands of particles of microplastics in every cubic meter of seawater. Fish who eat it may eventually end up on our plates. While the culprits are many - “primary” microplastics produced directly like microbeads, and “secondary” microplastics deriving from the breakdown of larger plastics - the apparel industry plays a role. Several studies have shown that a synthetic sweater can release 1 million fibers in a single load of laundry. Sheer numbers show the size of the challenge: over 100 million chemicals have now been registered in the world, many of which have a role in the fashion value chains. A clothing manufacturer wanting to stay in line with chemical standards has an alphabet soup to keep in mind: ZDHC guidelines to aim for, NRDC policies to respect, Bluesign certification for chemicals, SAC assessment for the supply chain, not to mention each brand’s individual RSL. Yet many of these actors shared the stage at Planet Textiles to discuss linking, harmonizing, and clarifying tools. For example, Bluesign has recently been recognized as a certifier for ZDHC conformance, and SAC partnered with NRDC’s Clean by Design program to evaluate factories, helping recognize safer practices between chemical suppliers, manufacturers, and brands. Recognition between standards is one thing; recognition with governments is another. Some of the most uplifting news from the meetings highlighted recent relevance with policy makers. The European Commission, working to develop ways to inform customers about safer products, is developing an environmental footprint for products from batteries to beer. The Sustainable Apparel Coalition is leading the pilot for non-leather shoes to develop scoring systems, along with brands like Adidas, H&M and Zara. In the Netherlands, the Dutch Covenant has brought together the country’s biggest brands to commit to responsible practices in apparel and textiles, and signatories now represent 36% of the industry. In Germany, the Partnership for Sustainable Textiles recently partnered with the Sustainable Apparel Coalition to measure and improve impact in textile supply chains. This progress, while primarily concentrated in Europe, can provide a blueprint for similar efforts in other countries. A question on the minds of many sustainability professionals, not to mention marketers, is whether customers will notice or care about the efforts going into creating better products. A pilot of select products presented at the Sustainable Apparel conference is testing this question. 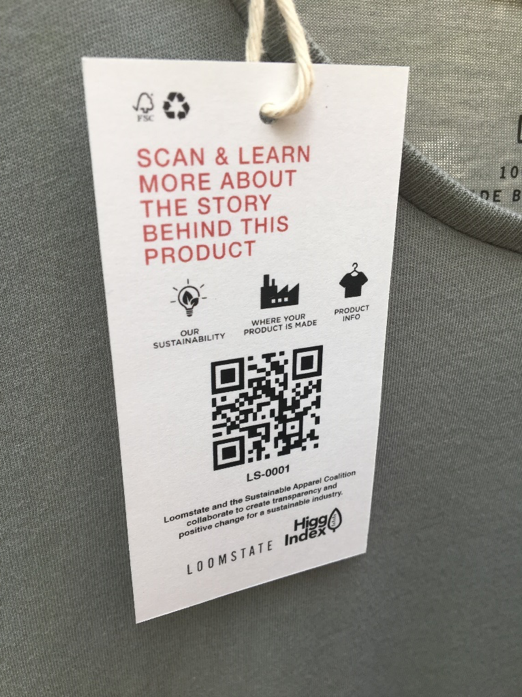 With QR codes on hangtags of products like organic cotton t-shirts to woven button-downs, customers across pilot stores in Europe can learn about sustainable features, and brands can gauge user engagement with their brand and content. The industry is still far from having a consistent way to present sustainability information – whether it would be a letter grade as proposed by the EC, stars as tested by the Higg Index, or whether each brand would maintain its own branding. An interesting example could come from producers further along the supply chain, from so-called Tier 2 to Tier 4 suppliers who produce the fabric that goes into fashion. A common theme in conversations with representatives of A common theme in conversations with fabric suppliers, like Lenzing (the makers of Tencel and Modal) and RDS-certified Allied Feather and Down, is that they consider themselves just as responsible as the brands to speak directly to the end customer with engaging branding and storytelling.